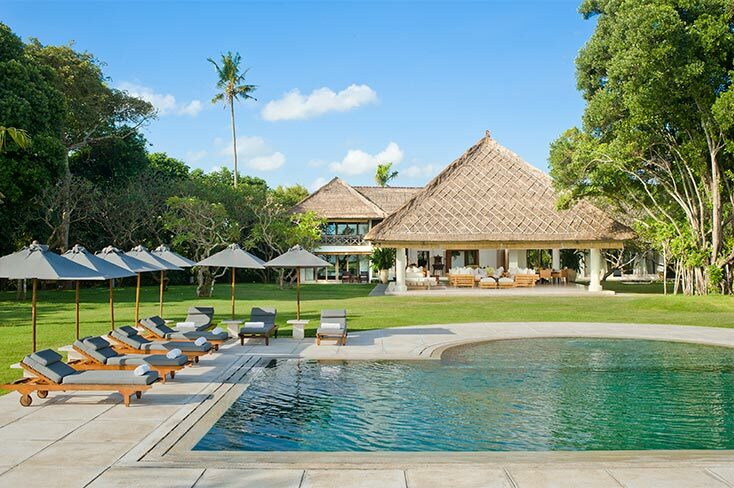 A true Bali classic, Villa Atas Ombak, just three kilometres from Seminyak, rests within 6000sqm of magnificent, absolute-beachfront gardens, making it the perfect wedding venue. Awe-inspiring ocean and sunset views, five bedrooms, a gorgeous swimming pool, total privacy and a highly-professional team of staff complete this picture of holiday bliss. 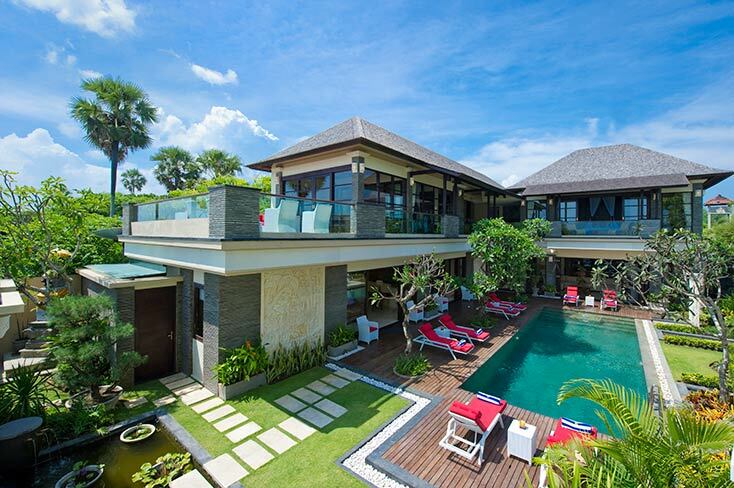 LeGa is stunningly situated beside Batubelig Beach, and is both private and secure. Boasting five bedrooms, this contemporary villa is beautifully furnished and comes with a 12m swimming pool set in landscaped walled gardens, an open-plan living room with dining area and feature kitchen, plus an excellent team of staff.